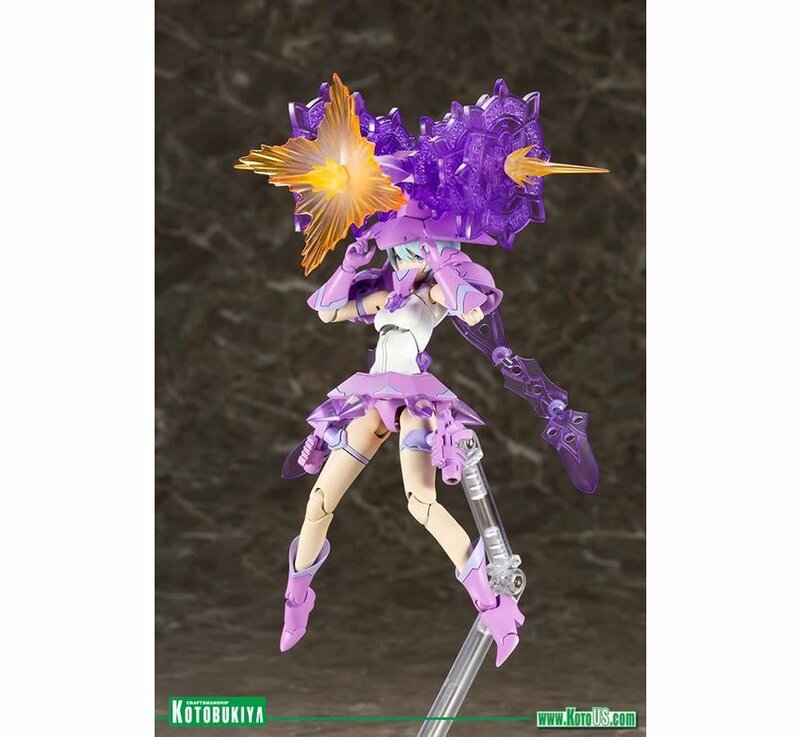 “Megami Device” is a plastic model kit series combining Bishoujo‐style beauties and heavy‐duty weapons and armor. 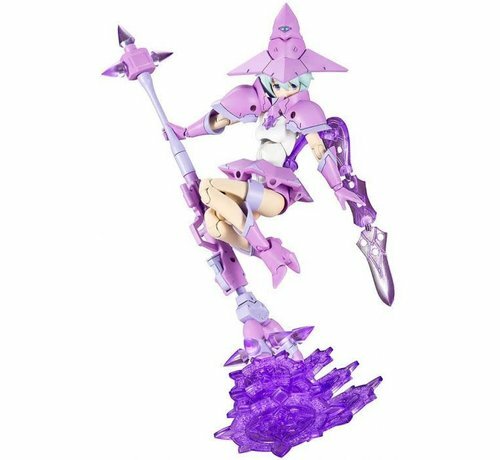 Each character has a main body, or “machinika,” designed by Masaki Apsy along with a huge array of interchangeable parts to outfit her as you like! Next up is Chaos & Pretty Witch, the 8th entry in the Megami Device line and the second collaboration with illustrator Nagi Ryo! 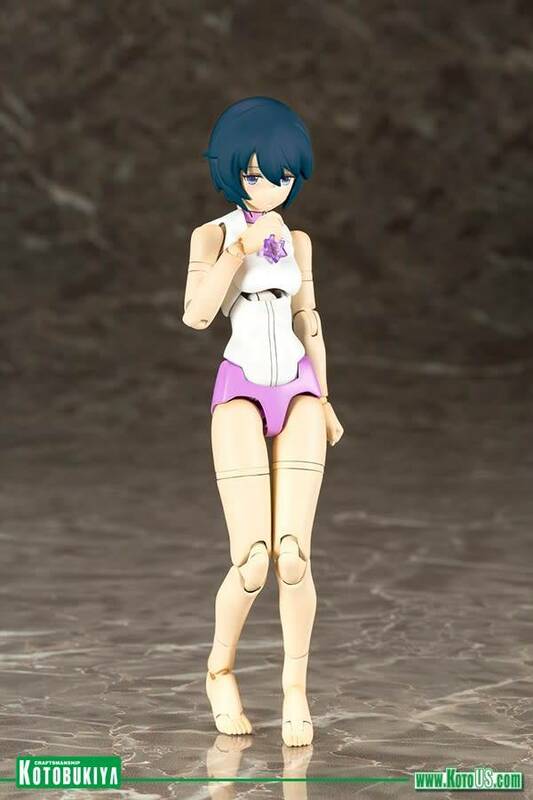 ●The model kit comes with three pre‐painted face parts. 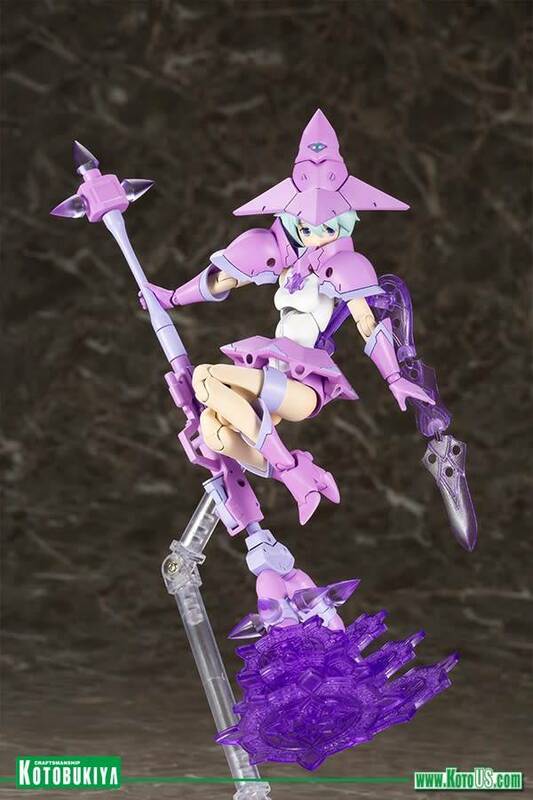 ● The model can be displayed with our without her adorable witch inspired armor. 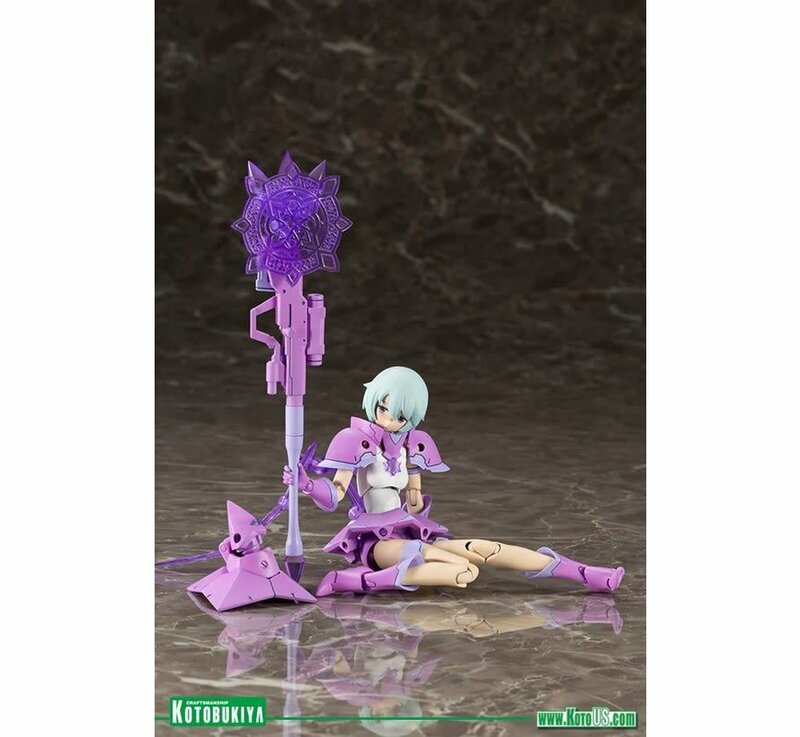 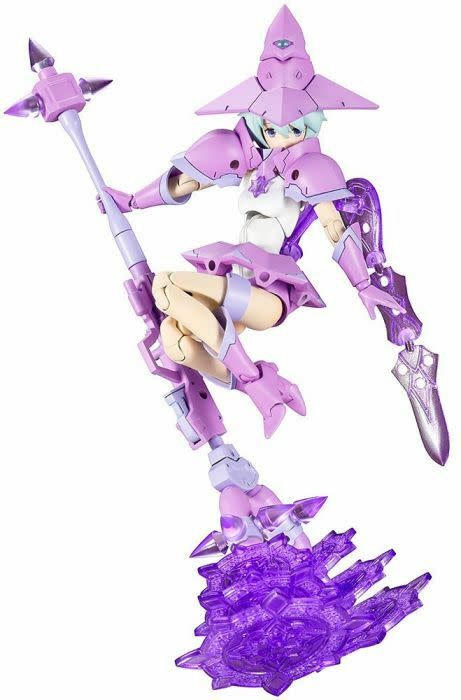 ● The model is highly poseable and customizable thanks to her several joints and points of articulation. The included clear plastic effect parts allow you to recreate epic battle scenes. 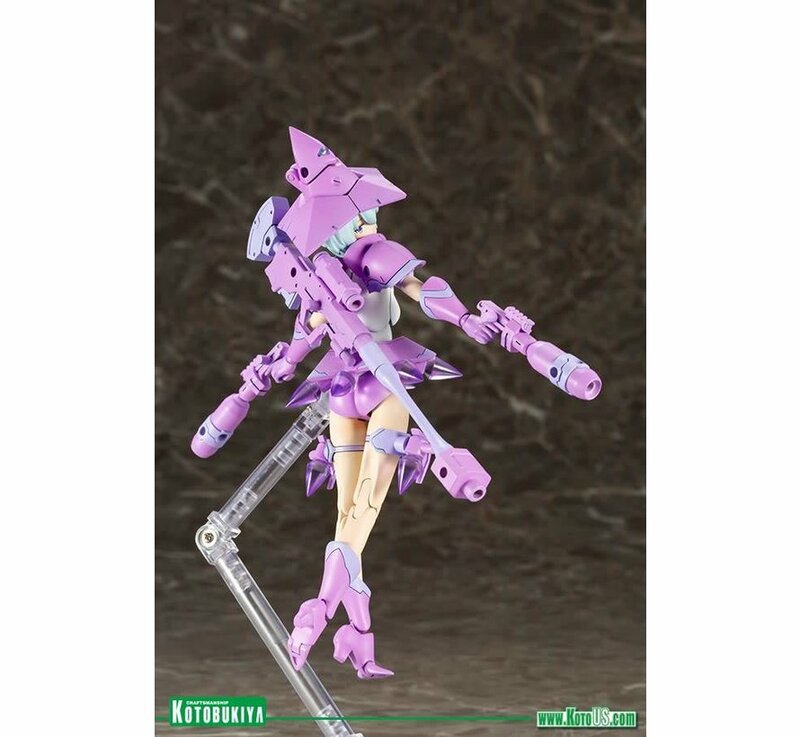 ● The base “machinika” has an astounding range of movement and can be displayed in a range of natural looking poses. 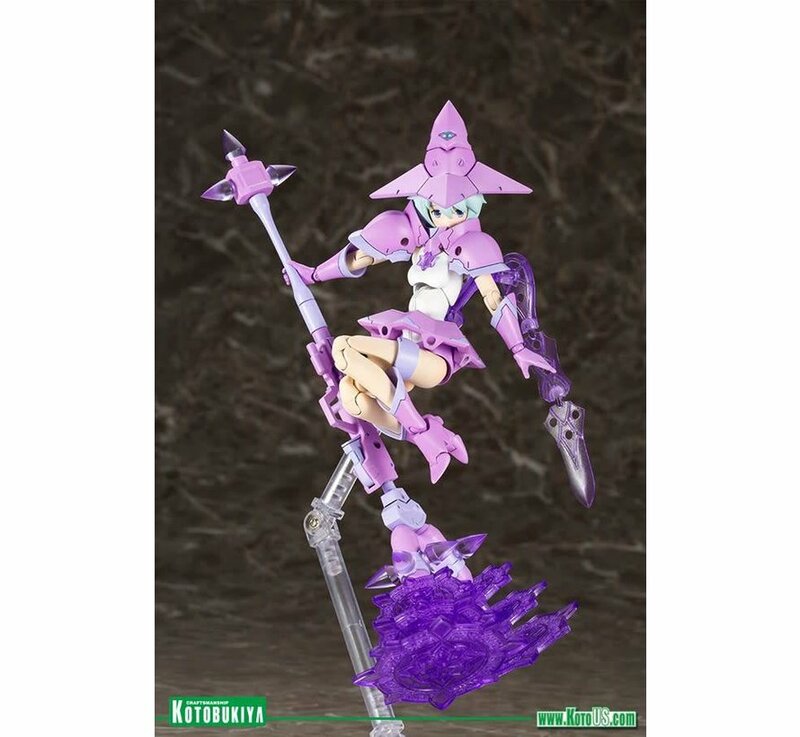 ● The model kit includes flesh‐colored arm and leg parts as well as bare feet with fully defined toes. 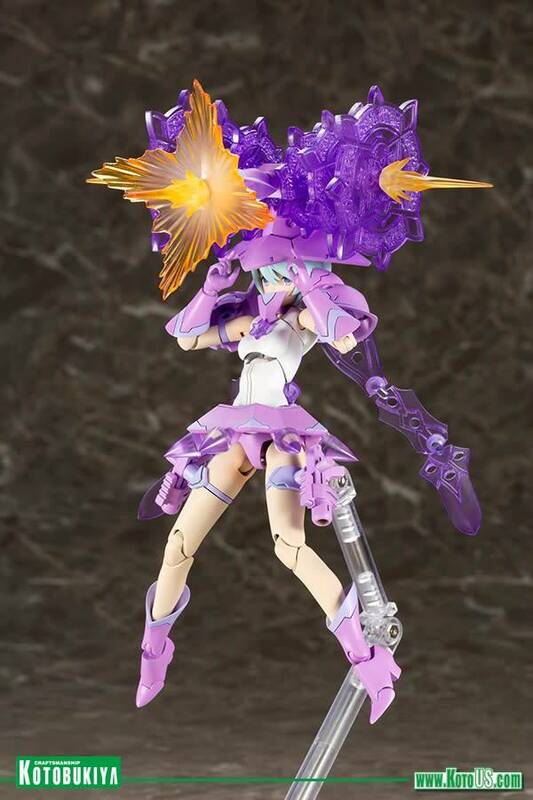 ●The model kit comes with two colors of hair parts that can be changed out between armed and unarmed mode. 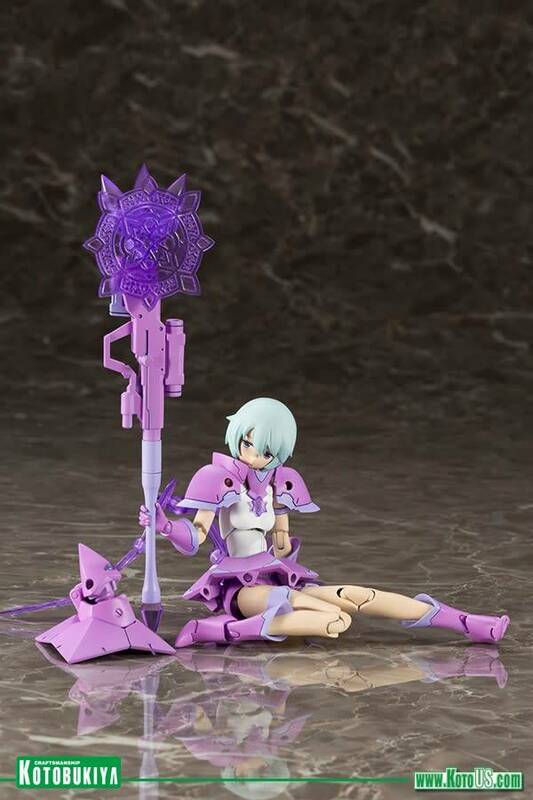 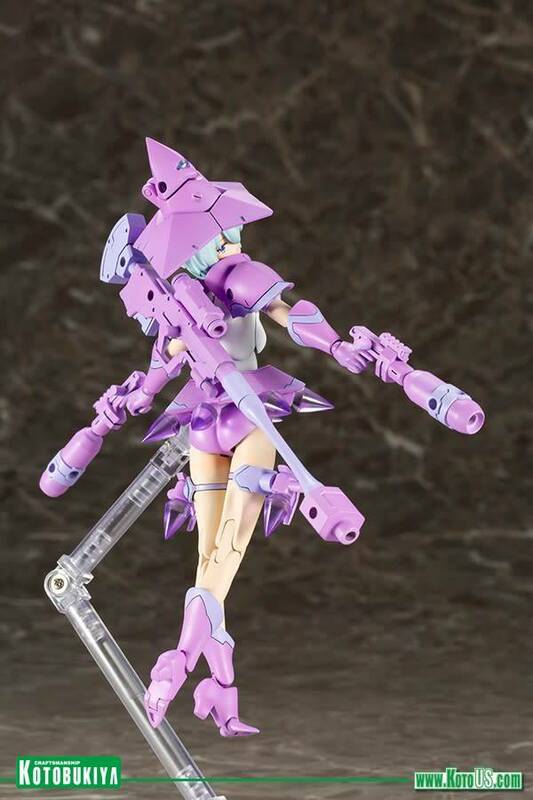 ● The model kit includes 7 sets of PVC hand parts, and the 3mm aƩachment points enable you to use them with equipment from the M.S.G, Frame Arms, and Frame Arms Girl series.